When the heat is on, there is no more enjoyable way to cool off than with refreshing, wet, water slides. 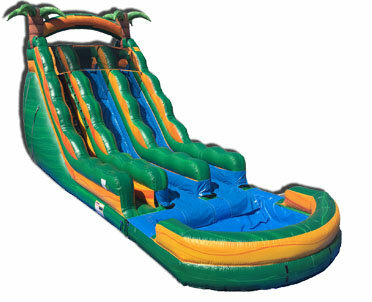 Our Tropical Oasis Waterslide transforms your event into an island paradise, providing the perfectslide for summer pool party ideas or beach theme party. Don't forget to make it even better and add on the slip n slide.